It can happen to the best of us — at any age! Sometimes when I’m concentrating on writing or designing a web page, I’ll decide to go get something… a glass of tea, a piece of fruit. I’ll get up from my desk and start walking only to stop and wonder what the heck I was going to get (or do). LOL. If there are times when that happens to you, or you put your glasses down somewhere, only to spend an inordinate amount of time looking for them later, you know what I’m talking about. Our brain cells are supposed to help us remember where we’ve been, where we’ve put things and names associated with the faces of people we meet. Unfortunately, our memory can let us down by losing the ability to communicate properly. There are certain strategies that we can incorporate to “train” our minds – such as paying closer attention to what we’re doing at all times or repeating information (a name, for example) over and over until we’ve got it memorized. Our diets may be the cause of not being able to remember even the most mundane information. Memory boosters in the form of dietary supplements can help fill in those nutrients that we’re not getting in our diets and help drive out memory loss. These nutrients are the building blocks of the brain. Fish, eggs, liver, soy, peanuts (and other types of nuts) are especially high in choline. DMAE is also found in fish and helps your concentration ability. When you combine these nutrients, you’ll have an antioxidant that acts as an energy booster for the brain, plus a memory advocate that can balance the all-important neurotransmitters, necessary for enhanced memory performance. Also acts as an antioxidant for the brain, improves circulation, boosts energy, memory and concentration. 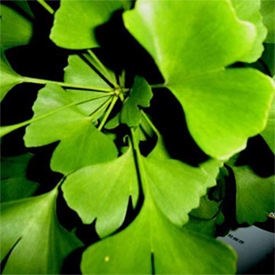 Ginkgo is also excellent for treating conditions that affect us as we age including tinnitus and poor blood circulation. There is a variety of vitamins and mineral supplements that you can take to increase your memory skills. These include all B vitamins and minerals, which contain niacin, folic acid and pyridoxine. Vitamin B12 is especially helpful in building nerve cells that help us with mental alertness. Most of us would like to have better concentration and remembering skills. But most of us practice a diet lacking in the nutrients we need. Do your own research to find out which nutrients you may be missing and try supplements for awhile to jump-start your brain cells. Does boosting your memory sound like a good idea to you?